→Benefits of Raspberry Leaf Tea: Brings Out the Best for You and Me! I may say that raspberry leaf tea claims to have abundantly offered women proven benefits (source). Since most of the advantages pertain to women conditions, it fits merely to become a “woman’s herb.” The power of a raspberry leaf tea covers fertility, pregnancy, breastfeeding and serves as a health booster. But of course, the tea is not mainly for women. Everyone can reap its advantage too. It’s good for the heart, immune system, metabolism, and other health issues. Ladies, are you ready to hear me out? It shows that the tea is not solely for women. In the entirety, it is also best for some who suffers from flu, cold, indigestion, eczema, psoriasis, high blood pressure and even inflammation. How is this possible? The tea boasts with vitamins, minerals, antioxidants, and alkaloids that contribute on making the drink powerful enough to boost your immune system. If you’re excited to conceive, raspberry leaf tree is right for you. But take note, this applies to men too! If you drink it regularly, it clears the toxins from your body that causes failure to be pregnant. Aside from that, it toughens the uterine wall. Strong uterine walls prevent miscarriages. Fragine, the alkaloid found in the raspberry leaf tea is said to be the reason why it has many benefits for pregnant women. The tea can stimulate contraction during labor and ease childbirth. Shortens the labor and lessens the time of pain. Credits to the tea that can tone and make pelvic muscles strong. The tea prevents rapture of uterine walls. The tea makes the wall tough and all the round ligaments of the uterus. So, this is useful to women who want vaginal delivery after a CS procedure beforehand. 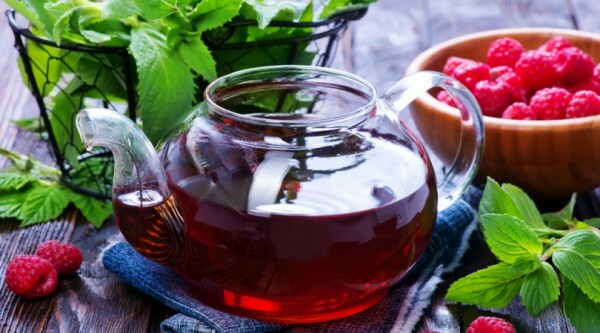 When is the right time to drink the raspberry leaf tea? To give time for the uterine walls to strengthen, pregnant women at least drink the tea a month before expected due date. It indicates that drinking it too early might cause miscarriage since it can encourage uterine contractions. What is the right amount of tea is needed to induce labor? Upon my research, an average of 2-3 cups a day should be enough dosage. Remember to start drinking a month before your expected delivery day. I suggest to take it gradually, making sure your system does not have an adverse reaction to it. Postpartum is crucial for every mother. Although a majority of the doctors agree that it’s safe to drink while nursing, I would suggest that you still inform yours before deciding to consume the tea. Reduces the chance of postpartum bleeding. Upsurges production of milk supply. Normalizes hormonal level thus preventing the danger of postpartum depression. For those young ladies out there and women who have been through menopause, the raspberry leaf tea also has advantages that you can enjoy. The high content of vitamins and minerals helps balance hormones. Beauty conscious as girls can be, the benefits of raspberry leaf tea are not limited to the medical area. It also states that it is a favorite product for skin care and weight loss. Due to the high content of vitamins, it hastens the healing period for skin irritations. You can even apply the tea topically. As I’ve mentioned, the tea improves body metabolism. If you’re aiming for a weight loss, consuming this tea may help. The tea itself is low in calorie but makes you feel full for a longer time after. Now that you are aware of the significant benefits of raspberry leaf tea, I know that the next on your mind is how to make and brew the flavored berry drink. After all the details, are you still doubting whether you can drink it or not? How would you know if it’s the right tea for you? The truth is, I’m mainly giving focus to the benefits for women. However, the benefits of raspberry leaf tea cover everyone. The tea is safe to be taken by seniors and even children. Making it a habit to be added as part of your diet is healthy. It tastes good, so I’m sure you’ll enjoy the drink. It is caffeine free, but I tell you, it can also boost our energy. So drink it up. It does not matter whether it’s hot or cold, it still tastes great. Where to buy raspberry leaf tea? Check this out! Please be guided that drinking raspberry leaf tea is not advisable for women who have experienced complications during pregnancy and labor previously. Taking it may make complicate your situation. Overdue birth- muscular contractions may stress the baby. Spotting/Bleeding- this fragile situation can complicate with the use of the tea. Cesareans- the tea can strengthen uterine walls, but previous CS procedure may leave your uterine wall still weak. It’s great to know that the benefits of raspberry leaf tea have most of its advantages to women like us. The pain that we endure during PMS, pregnancy, and labor are sometimes extreme. That’s why I am always thankful when good news likes this happens. Are you convinced on its healing powers? There is just one way to know. Try it!